The countdown to the start of the radio ratings year starts today, with now just six days until survey starts on Sunday January 21. Most major radio breakfast shows are due to start back on Monday January 22. 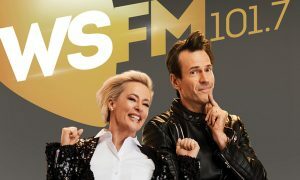 We reported last week on the first day of the new KIIS 101.1 Melbourne breakfast show Jase and PJ, which was out of the blocks a full fortnight before the start of survey. Among the shows returning today a week before survey starts was the highest ratings metro breakfast show in Australia – 3AW’s Ross and John. 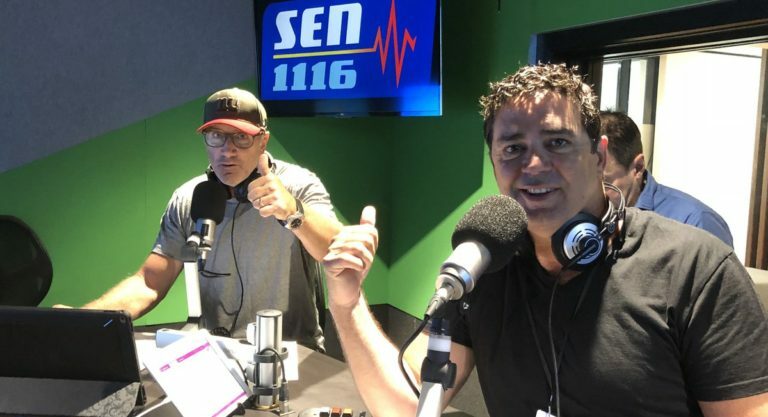 Also in Melbourne, 1116 SEN breakfast fired up for 2018 with Garry Lyon and Tim Watson (pictured). “Why exactly are we here this week?” Watson asked his co-host this morning. “Because the Australian Open starts today,” Lyon replied. The hosts noted they had new promotional photos taken recently which would be used on billboard ads to appear in Melbourne. One of the most anticipated new programs of 2018 will be the return of Wendy Harmer to a regular breakfast slot as she co-pilots ABC Sydney breakfast with Robbie Buck. That means one of the best summer radio shows, Sydney Breakfast with Josh Zepps, has just one week remaining. 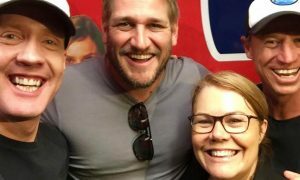 2Day FM breakfast was back with its latest breakfast show with Em, Grant and Ed – Em Rusciano joined by Ed Kavalee and Grant Denyer. Despite 2Day breakfast being based in Melbourne last year, Denyer indicated at least he was broadcasting from Sydney. If his co-hosts were in their home city the show was one of two major Sydney breakfast programs broadcasting out of Melbourne. The other was 2GB breakfast with Steve Price today broadcasting from a 3AW studio in Melbourne. It was in fact one of three breakfast shows broadcasting from 3AW. For the first show back in 2018 for 6PR’s Steve and Baz, Basil Zempilas was working from 3AW while Steve Mills was in the home studio in Perth. Zempilas is in Melbourne for Seven’s coverage of the Australian Open and he reports to Melbourne Park later in the day as his Perth breakfast show doesn’t end until 11.30am Melbourne time. Meanwhile Network Ten has announced that Denyer will be one of the co-hosts of The Living Room for the first few weeks of 2018 when it returns on February 9. The Hit Network has been featuring plenty of ads for its new drive show Hughesy and Kate which starts on January 22.